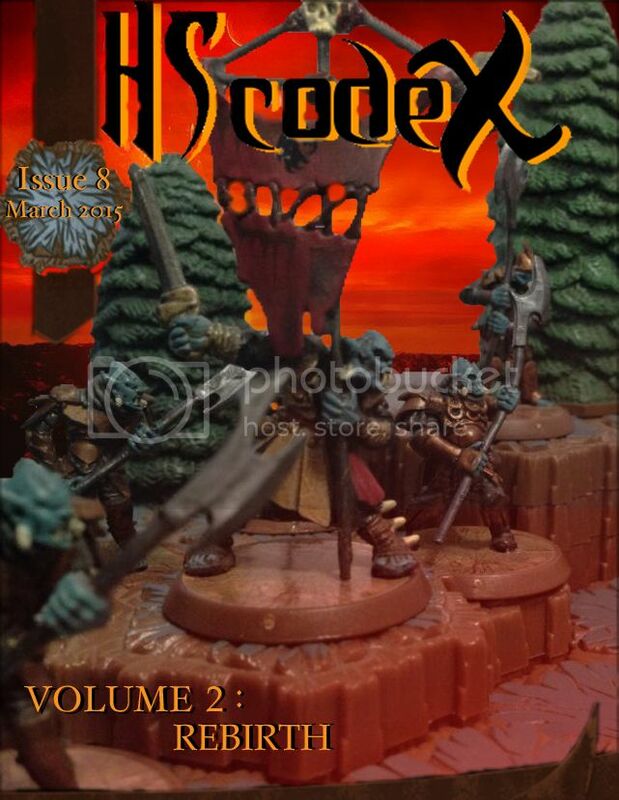 Once again, we are happy to present the latest issue of the Codex! We have, among other things, an interview with the one and only @IAmBatman , a strategy review for SoV's Zombie Hulk, and the next installment of The Heart of Vengeance. We hope you all enjoy! You can read and discuss more at the announcement thread. As always, we are super happy to hear from you. Give us a shout on Facebook; Twitter; or by PM to @El T , @Ninja Status , or @The Grim Reaper's Friend . This is a great issue! Thanks Codex Keep it up! Another cool issue! Wish I had the time to contribute to kolakoski's battle report; I would've emphasized the humor in having my Supergirl and Wonder Woman beat up a puppy and a handicapped dude. Finally got a chance to read this. great Issue!